Question 1:- What is Distance Learning? Ans:- Distance Learning refers to teaching and learning situations in which the instructor and the learner or learners are geographically separated and therefore rely on the other modes of instructional delivery. Question 2:- Advantages of a Distance Learning program? Question 3:- Who will benefit from Wisdom programs? Ans:- WISDOM programs are extremely useful for working executives, self-employed entrepreneurs and job seekers who do not have a formal managerial qualification. These course provide extensive knowledge of essential management techniques and offer an opportunity to everyone, irrespective of background, to receive job oriented training which meets business and industry requirements. It greatly improves the chances of getting a job and also improves career prospects, as lack of a management qualification often bar entry into managerial cadre in the corporate sector. Question 4:- Is the MBA and the other Programs recognized by UGC / AICTE? Ans:- Wisdom is a non-university institution. All programs of Wisdom are autonomous and do not come under preview of UGC / AICTE. In the changing economic environment what matters most is the recognition by the employers. The MBA Program is highly appreciated and valued by blue-chip employers, as it is a uniquely designed program in Management, comprehensively covering all the functional areas of management in great depth. In today’s buyer market these professional will have good prospects in Indian companies and also in MNCs operating in India. All courses are autonomous. Question 5:- Is the study material supplied by the institute? Question 6:- How do students receive their study material? Do they have to pay extra charges other then the fees paid? Question 7:- When the examinations held and what are the modes of exam? Question 8:- What I will do if I fail in any of the subject? Ans:- In such a case, you are to be re-examined for the subject in which you have failed. A re-examination fee @ Rs. 500/- per subject is required to be paid by you. Question 9:- Do you provide a degree or a diploma? 1. Management programs are professional courses and the question of a degree does not arise. 2. We have courses from Diploma to Executive Masters level and we provide you with the certificates. 3. The degrees can only be offered by the universities and since we are a self financed autonomous body; we can provide you with a certificate. Question 10:- After submitting my papers, in how many days would the results be declared and when will I get the certificates? Ans:- After submitting your papers, you shall receive your certificates in 45 to 60 working days. Question 11:- You said I can give my exams sitting at home. Doesn't that mean I can cheat and write my papers? Ans:- The question papers that we send to you are in the form of live and practical case studies and not the direct theoretical questions where you can open the book and copy. In case studies you have to present yourself in a given situation. MBA is an application based program where our aim is to make sure that you handle the situations in your professional life. Even IIM's, IIT's have started this unique examination style called Open Book Test system. Question 12:- What is certification? How is it helpful to me? 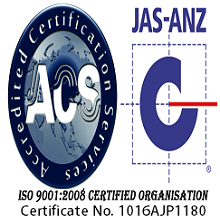 Ans:- Certification means we are allowed to use the logo of a particular body (whom we are accredited to) on our certificates. 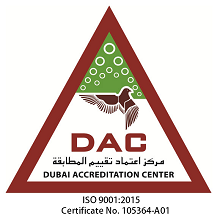 That mean these bodies have certified that we meet their standards of quality and hence they certify the validity of these certificates. 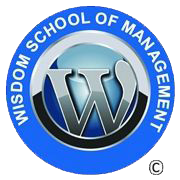 Wisdom is an 'ISO 9001:2008' Certified International B-School. Question 13:- Where does your faculty come from? Ans:- We have common panel of faculties for our correspondence courses who are expertise in their streams and are working as a full time lecturer/Professors in reputed colleges & universities. Question 14:- What are the fees payment criteria? Ans:-Fees can be deposited in installments or upfront as per the convenience. Question 15:- Do you provide University Courses? Ans:-Yes, we do provide university courses. Question 16:- How can a person verify the UGC recognition of any University? Ans:-Log onto http://www.ugc.ac.in and go to the option inside HE option select (central/ state/ private/deemed etc.) university as per the university status and then select state check the university list. Question 17:- Do I need to go to the University Admission and examination? Ans:-No. admission will be held at our center, you need not to go to university for anything. However examinations will be held on examination centres alloted by the university. Question 18:-Do you provide placements after completion of Program? 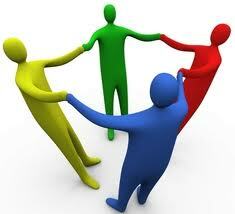 Ans:-Yes, we do provide 100% placement assistance with the program. Kindly check our Placements corner.